Quebec is the largest of Canada’s 10 provinces. The name Quebec comes from the Algonquin word Kepék which means “the place where the river narrows”. This “river” refers to the St. Lawrence, which is one of Canada’s most iconic waterbodies. The water from all five Great Lakes moves through the St. Lawrence River where it eventually meets the Atlantic Ocean. It can be said that water from all the Great Lakes passes through the province. Quebec contains more freshwater by area than any other province. Beaches are therefore plentiful. Geographically, the province is divided into three areas: the Canadian Shield, St. Lawrence Lowlands and Appalachian Mountains. Average temperatures peak at 25°C in the summer and there are plenty of beaches to be enjoyed throughout the province. In more southern areas, temperatures can reach around 30°C. Heat and humidity throughout the summer months entice many people to the beach. National parks in Quebec host beautiful sandy, freshwater beaches. 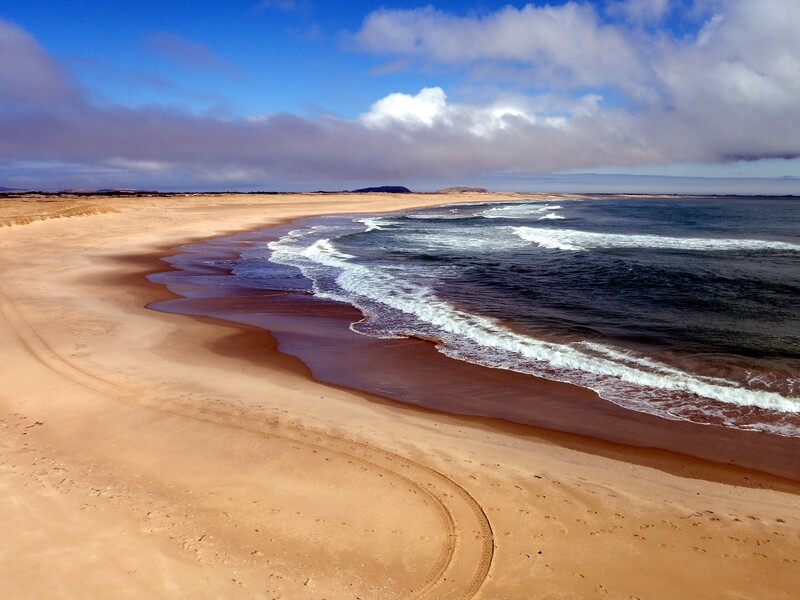 There are also salt-water beaches to be discovered at Cote-Nord, Iles-de-la-Madeleine and Chaleur Bay. The 300km shoreline at Iles-de-la-Madeleine has strong winds that are perfect for surfing. Of course, recreational water users should pay attention to local conditions to ensure their safety. Montreal is Quebec’s largest city and also happens to be an island. Montreal is close to several swimming areas easily reached by city dwellers. Lac Tareau, for example, is the city’s largest accessible waterbody and offers both swimming and recreational water activities. Many recreational water activities are also possible along the St. Lawrence river. Paddling, boating, and of course, swimming (when local conditions allow, of course) are all popular. In the Gaspe Peninsula, where the St. Lawrence meets the sea, you can find a variety of wildlife amongst sand dunes and dramatic cliffs and forest. If swimming isn’t on the agenda, Quebec also offers the opportunity to do some whale watching in the St. Lawrence estuary.